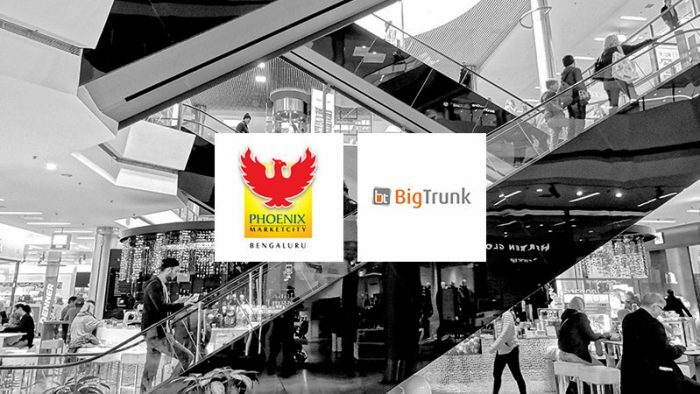 Big Trunk Communications, a Mumbai based independent creative digital agency has bagged the digital duties for Phoenix Marketcity Bangalore. As a part of the account win, Big Trunk Communications will work on developing the brand’s online presence through social media platforms. The young agency has managed to create footprint across product categories such as Luxury Retail, Fashion and Clothing, Food and Beverages, Education, Media and Entertainment, Realty, BFSI and E-Commerce, in a short span of time. Phoenix Marketcity developed by The Phoenix Mills Co. Ltd., is a shopping mall, located in Bengaluru, Karnataka, India. It is the largest mall in Bangalore by area, occupying 1,600,000 square feet with 1,400,000 square feet of retail space on four floors, which houses over 270 stores top end luxury retail brands, a nine-screen PVR Cinemas multiplex and a food court. Gajendra Singh Rathore, Centre Director, Phoenix Marketcity, Bangalore, added, “We are pleased to partner with Big Trunk Communications. We were impressed by their understanding of our marketing task, a flexible and collaborative approach in developing a plan that meets our needs and priorities. We look forward to this partnership through our continued aggressive phase of growth. The mandate includes social media strategy, content marketing and creative strategy across social and online platforms. With this win, Big Trunk Communications has strengthened its portfolio in the retail segment.